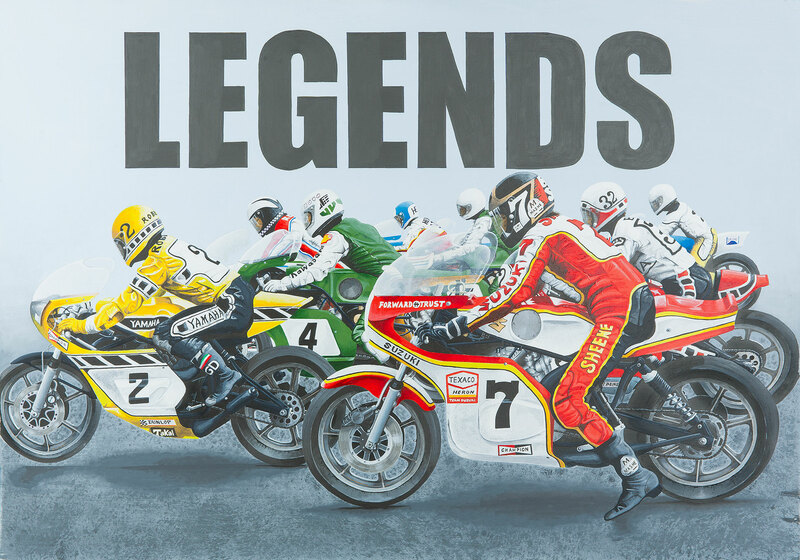 The legends painting, how many world championships and national championships do these riders hold between them. Immaterial of simply race wins. 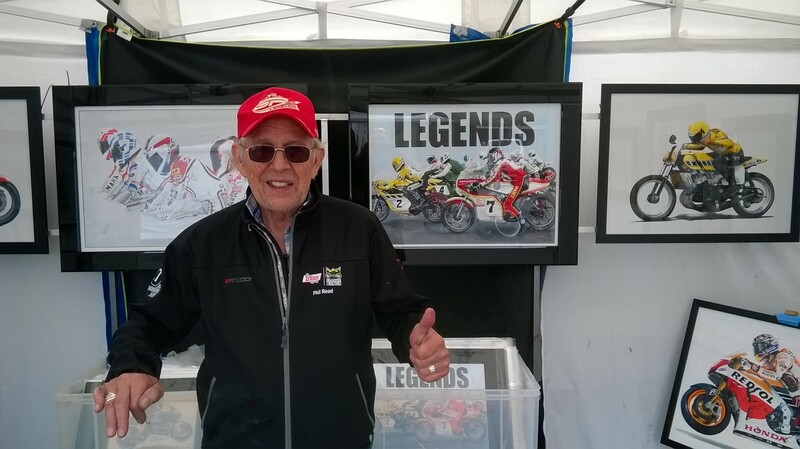 The list of riders is Kenny Roberts , Mick Grant , Phil Read , Pat Hennen , Barry Ditchburn , Barry Sheene , Steve Baker and finally Randy Cleek. A snapshot of one of the greatest race series ever, the Transatlantic match races.